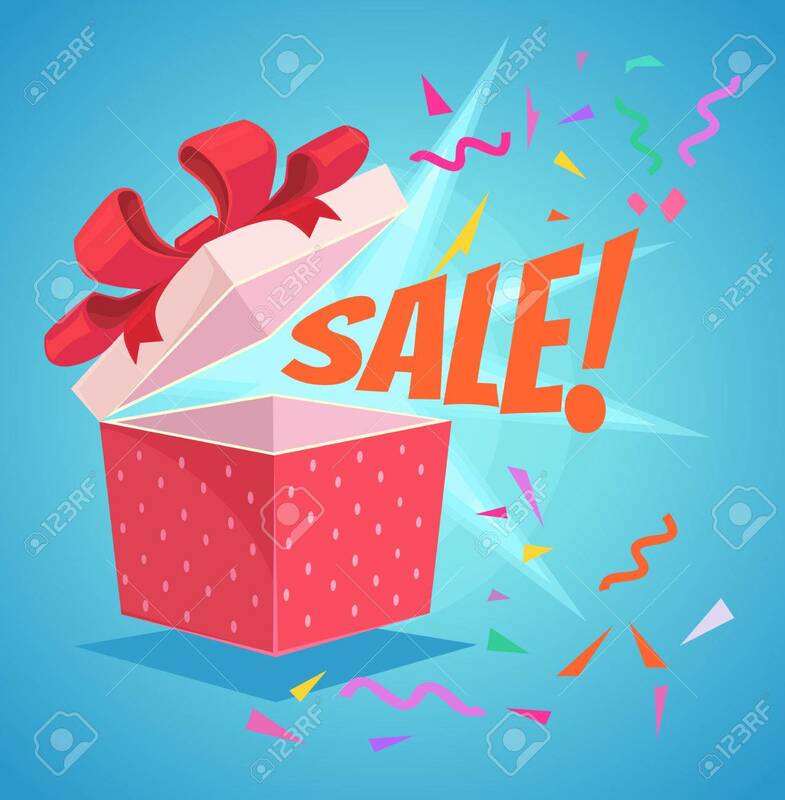 Open Sale Gift Box With Red Bow And Sale Word. Discount Banner... Royalty Free Cliparts, Vectors, And Stock Illustration. Image 64259781.